Four members of a British family were killed in a horror crash on holiday in Florida after doing a U-turn into the path of oncoming traffic, an inquest heard today (Weds). Adam Stephenson, 30, was driving a rental with wife Maryann Stephenson, 29, and Adam’s parents Sheralyn and Bryan Stephenson, 56 and 59, as passengers. Witnesses describe seeing driver Adam, from Bristol, perform a U-turn in the Mitsubishi Mirage on the six-lane state road, an inquest heard. He crossed into the path of the black Ford truck, travelling in the other direction, it was said. Both vehicles were left skidding off the intersection and onto the grass shoulder at the side of the road. The Stephenson family’s Mistubishi skidded 111 feet from the point of impact. Adam, Maryann, Bryan and Sheralynn were all pronounced dead at the scene on April 2, 2018, Avon Coroners Court heard today (Weds). Officer Geoffery McDole, of Titusville Police Department, was the first to attend the scene, and prepared a statement read at the family’s inquest. He said: “On Monday, April 2, at approximately 18.20 hours, a vehicle collision occurred at the intersection of State Road 405, Columbia Boulevard, and Sisson Road. 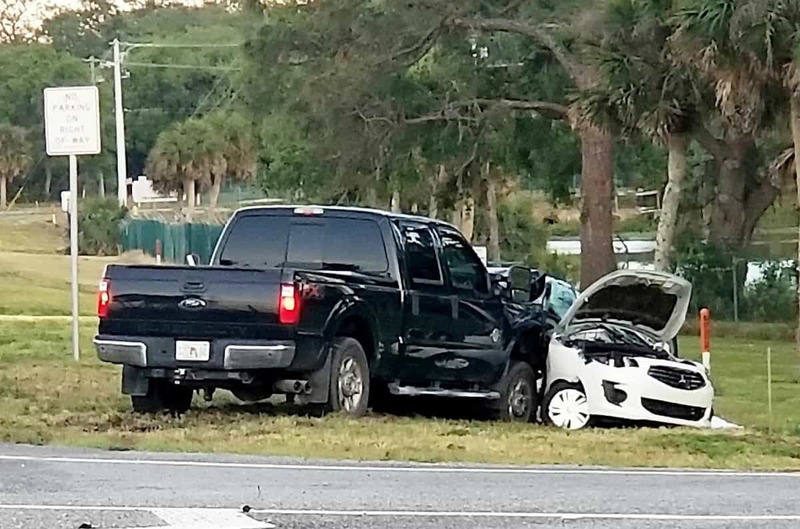 “The crash took place between a white Mitsubishi Mirage, and a black Ford F-250 pick-up truck. Officer McDole said he had arrived at the scene at approximately 6.24pm, and had interviewed the driver of the Ford truck, James Walsh, who escaped uninjured. Mr Walsh said that he had been travelling eastbound in the left lane along State Road 405, towards Sisson Road.. He said that the Mitsubishi vehicle had entered the eastbound lane by conducting a U-turn and “pulling out in front of me”. Corey Keyser, who witnessed the collision, said he had been filling up his car at a nearby gas station when he saw the Mitsubishi across the median, or central reservation, of the intersection. Mr Keyser said he watched the Ford F-250 collide with the Mitsubishi. And another witness, Cathy Evans, also said she had observed the white Mitsubishi perform a U-turn. She said her car was stopped at a red traffic signal waiting to turn eastbound from Sisson Road onto State Road 405, when she saw the Stephenson’s rental car make a U-turn “right in front of the truck”. Skid marks and gouge marks left on the road by both vehicles marked the total distance of the collision scene as a whopping 213 feet, Officer McDole said. Items of debris left in the roadway suggested that the point of impact was 41 feet from the wreckage point. Officer McDole added: “On Tuesday, April 3, both cars were taken for a vehicle inspection in Titusville. The officer said weather conditions were dry, between 62 and 84 degrees Fahrenheit, and that the sun was setting and was just overhead at the time of the crash. Concluding the inquest, H.M Assistant Coroner Dr Peter Harrowing gave the cause of death for all four family members as “multiple injuries caused by a road traffic collision”. Death certificates, provided by Associate Medical Examiner Dr Krzystoff Podjaski, showed Maryann was pronounced dead at 18.28 hours on April 2, 2018. Married couple Bryan and Sheralyn were both pronounced dead at 18.34 hours, and driver Adam was pronounced dead at 18.35 hours. A family statement was made by Shaun Stephenson, the son of Bryan and Sheralyn. It read: “There are no words that could possibly describe the deep and total loss I feel. 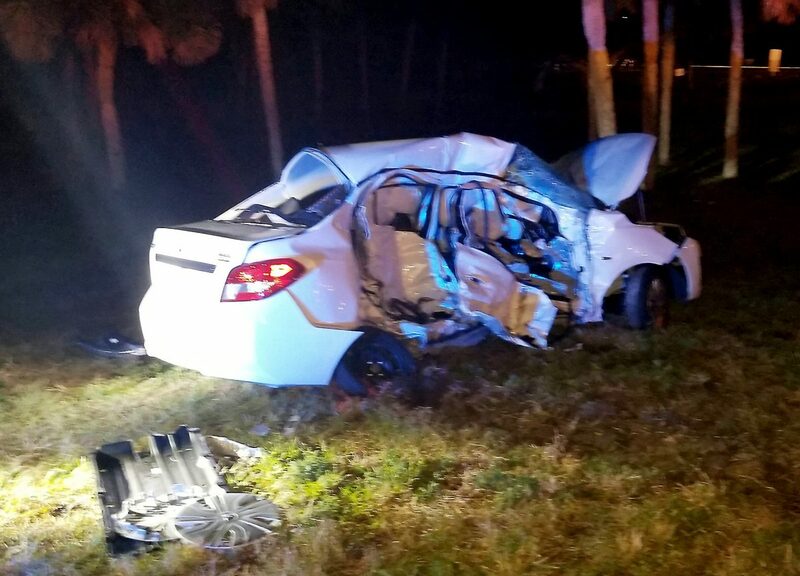 “This tragic accident has taken away my wonderful and loving family. Nothing could ever fill the enormous void in my life, and the lives of my wife and our children. Previous reports from America at the time said the family were driving back from a day out at Kennedy Space Centre in Titusville, Florida. That was not heard at the inquest today.